Post was edited 1 time, last by “Blackw4” ( Mar 6th 2019, 3:17pm ). 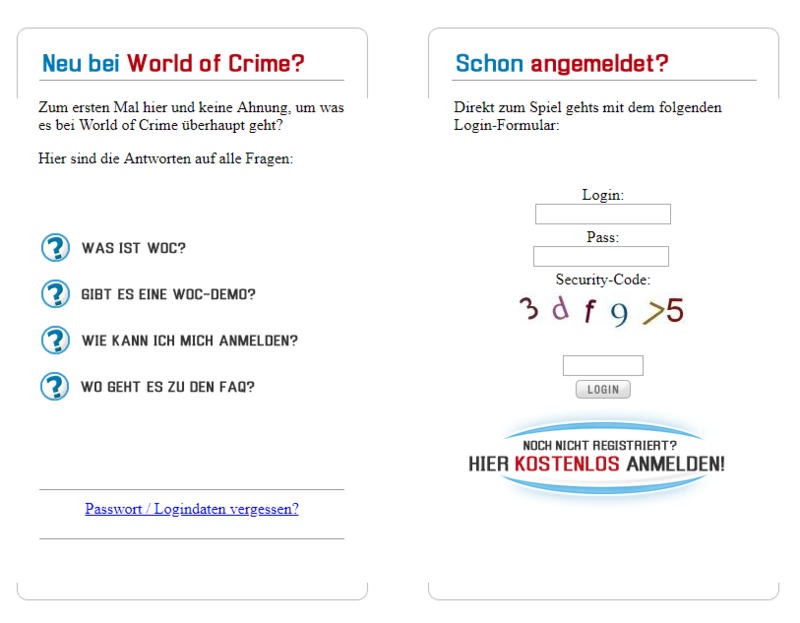 Was iSt dieseS worLd of cRime, ph0n dem Sie da spreChen...? dAs sPieLeN nuR h0bbYl0sE n4Ps! Ist das sowas wie LoL? 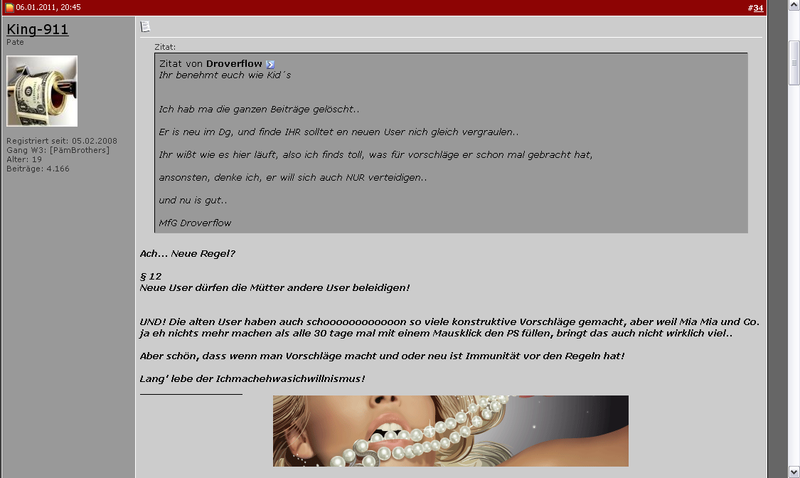 Drower war damals wohl Mod oder so..